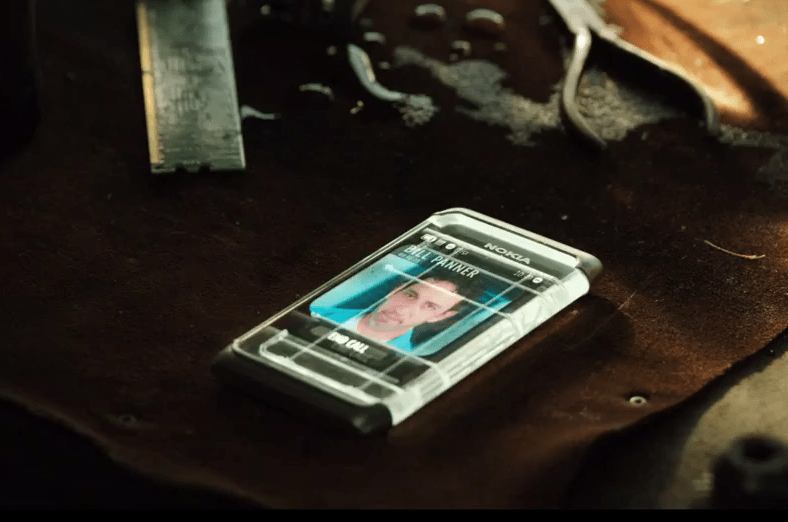 Futuristic Nokia caught in Real Steel movie trailer. Has MeeGo like screen – Nokia N9? Wowsers! 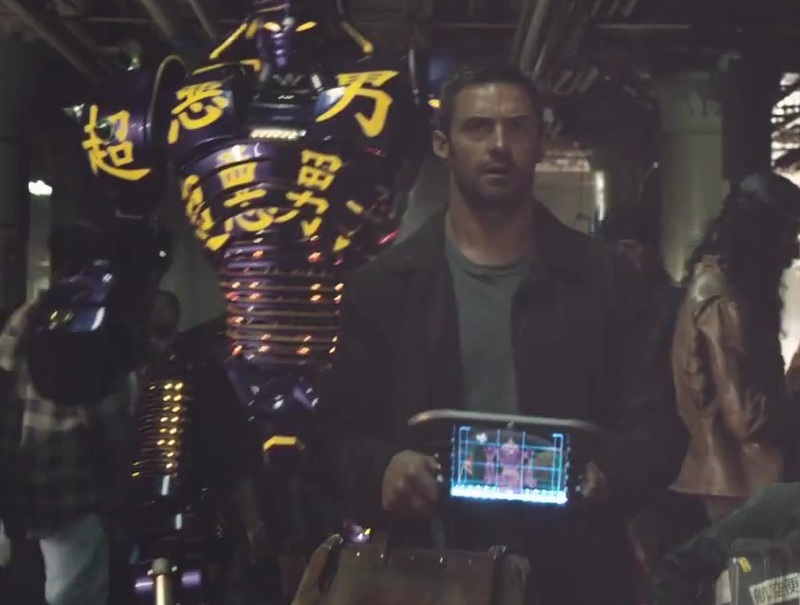 In a trailer for an up coming Action Sci-Fi, Real Steel, starring Wolverine (Hugh Jackman) and Kate from Lost (Evangeline Lilly), a futuristic looking Nokia phone makes an appearance. 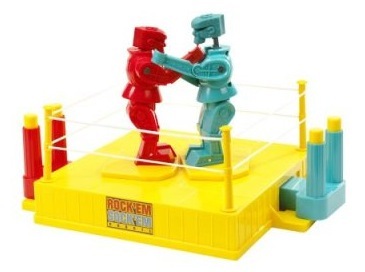 Real Steel is a (supposed 80 million dollar budget) movie about…boxing robots. Yeah you heard. 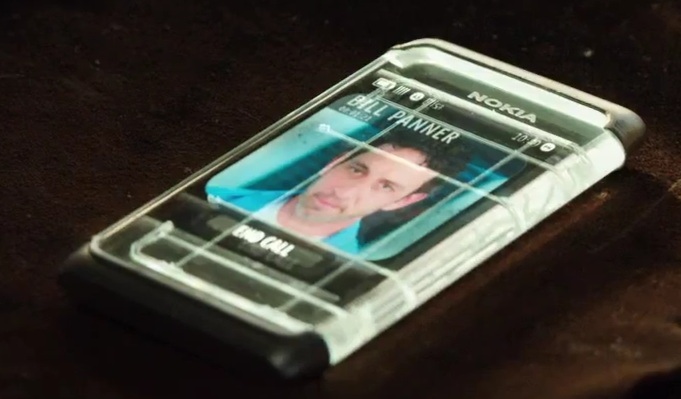 This isn’t the first time Nokia’s put some of their devices in movies, whether it be current, concept or unannounced upcoming handset. It’s not too far out like in Star Trek, but it might be like the 5800 in Batman…unannounced, coming soon? :D. The handset looks like a Nokia N8. it has the characteristic tapering edges and a similar “bezel”. Very neat, it also sports a glowing sides, which seems to have that lovable LED/Light function of notifications. In the video, you’ll see it dim when ending a call. Actually the “bezel” from this angle is just the tips overlaying. It could be possible that those tips come off and (like a case) and the entire edge all around glows. Actually, the whole thing could be just a “N8” with a cover. Nice! Not sure about walking in the night when you’re taking a call and you’ve got this beacon saying “mug me”. Something of interest. The UI might just be faked for the video but take a look at the notification bar anyway. Battery, signal, some other stuff on the left. Clock on the right. Oh what do we have here? Battery, signal, on left, clock and other stuff on the right. 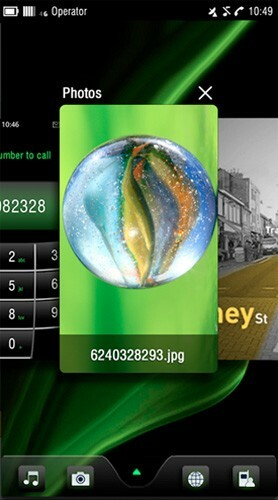 This is the MeeGo screenshots we saw last year! Apart from the bar being much fatter (possibly to be more visible in the film, as part of call mode, or just faked, it is very similar. It is much more different to the New Symbian UI bar seen in February and also to Windows Phone. Does this mean it’s the Nokia N9/n950? 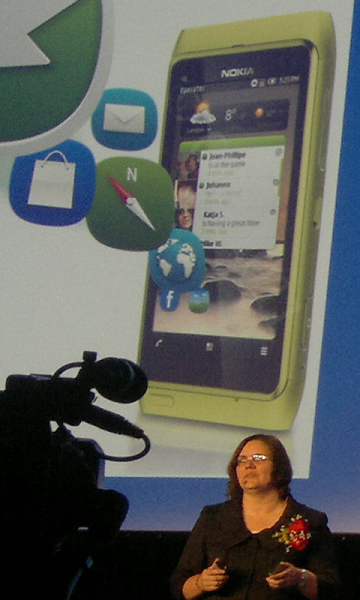 Yesterday we saw the Nokia RM-680 passing FCC, and it looked a lot like the leaked N9 from last year, with keyboard. 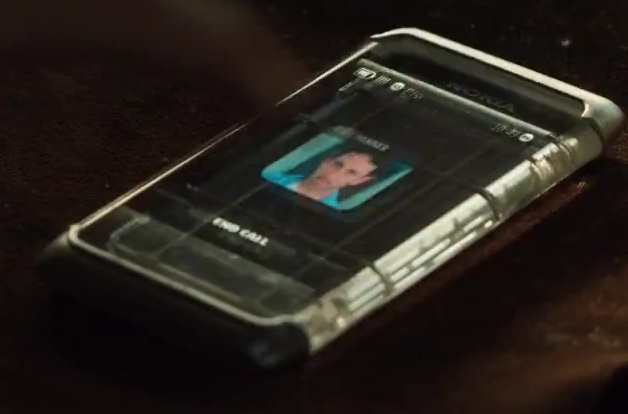 The phone here in Real Steel looks to be a candybar. Also we also heard that a film company has started shooting for the new “Nokia N950” 4G smartphone. Now going back to that somewhat unique light design, remember what Chief of MeeGo said about the new upcoming MeeGo device? Cheers thaijoni for the heads up! « Finnish retailer puts E6 for 379EUR and X7 for 405EUR, delivery June 10/17th.